JP Concrete Creations offer numerous services to our clients. Our custom concrete veneers can be made to fit any space and in a residential or commercial setting with perfect artistic design tailored to your needs. With both indoor and outdoor options, we can stain or create cement countertops, flooring, driveways, pool decks and many other areas with our various textures and stains replicating stone, slate, tile, marble, leather, or any other type you request. We also perform concrete repair, resurfacing, sealing, and other options to make your spaces beautiful. Modern, Ancient World or Traditional themes can be achieved to enhance your indoor and outdoor spaces with our Architectural Concrete System. 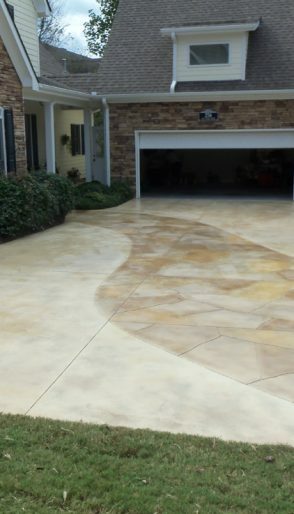 Artist James Peters of J P Concrete Creations offers beautiful, unique and durable cement veneers for your existing surfaces. James’ portfolio contains a variety of applications, textures and stains replicating stone, slate, tile, marble, leather, and any other surface type you desire. Atlanta, Northwest & Northeast Georgia. Copyright 2018 QualityWebDevelopers.com. All right reserved.